This Sunday we will discuss the most important steps women can take to ensure early detection of breast problems with Dr. Yara Robertson and Dr. Tonya Echols Cole of DeKalb Medical. A native of Memphis, Tenn., Robertson graduated from the University of Tennessee at Chattanooga in 1998. In 2004, she received her medical degree from Quillen College of Medicine at East Tennessee State University and she completed her General Surgery residency at the University of Arkansas for Medical Sciences in Little Rock, Ark., in 2010. “During my general surgery training, I developed a passion for treating diseases of the breast,” says Robertson. She was accepted into the Breast Surgical Oncology Fellowship at the Winthrop P. Rockefeller Cancer Institute at the University of Arkansas for the Medical Sciences and completed the fellowship in June 2011. “I’m excited to be here and vow to continue Dr. Phillips’ commitment to bringing the highest level of breast care to Georgia,” says Robertson. With the addition of Dr. Robertson, DeKalb Medical at Hillandale now has three breast surgical specialists on its campus. 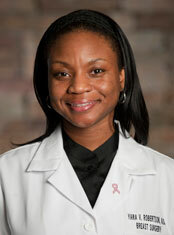 Dr. Tonya Echols Cole is board certified in Radiation Oncology. 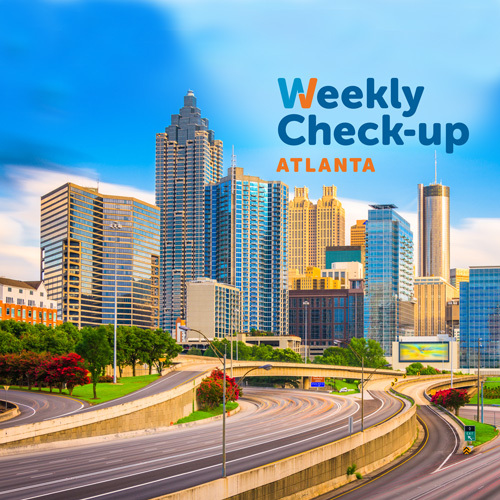 In 2004 she founded Greater Atlanta Radiation Oncology Consultants. She received her Bachelor of Arts from The Johns Hopkins University and her medical degree from the University of Cincinnati, College of Medicine. She completed her training in Radiation Oncology at the University of Cincinnati’s, Barrett Cancer Center. Dr Cole has a special interest in the treatment of breast and gynecologic malignancies. In addition, she treats all solid tumors including, lung cancer, central nervous system malignancies, rectal cancers, skin cancers, prostate and lymphoma. She also treats benign diseases such as keloids. Dr. Echols was recognized as an Alpha Kappa Alpha, Educational Advancement Scholar, received the Roentgen Resident Research Award and was also honored as the valedictorian of the Nx Level Entrepreneur training program at New Birth Missionary Baptist Church. She has also been recognized in Who’s Who in Black Atlanta. Dr Cole is a member of the American Society for Therapeutic Radiology and Oncology and The Atlanta Regional Clinical Oncology Program. She his active in the community and has served on numerous boards including the American Red Cross Minority Recruitment Board, and Youth Vibe, Inc. She is a member of Alpha Kappa Alpha Sorority, Inc. and started the medical ministry at Higher Living Christian Church.